Happy Thursday! 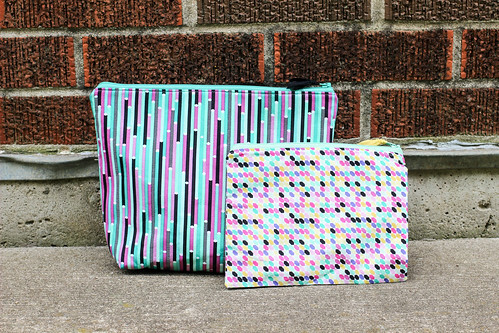 It's time to take a closer look at the Geometric Bliss bags and pouches I made for Spring Quilt Market! 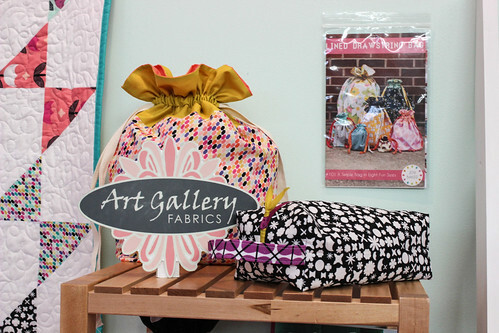 First up, of course I had to make some bags using my Lined Drawstring Bag Pattern! I made one Everything Bag (tutorial size), two Project Bags, and one Artist Bag. I have made tons of these bags, and I still am not tired of making them. They're such a great way to show off prints! Plus I use them for everything. 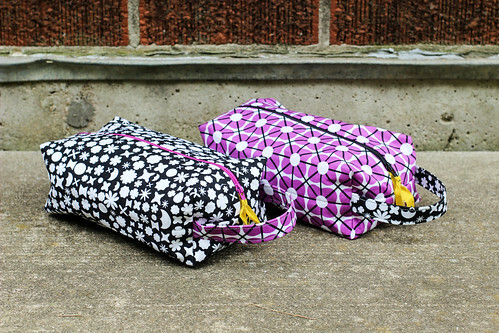 I made a number of zipper pouches that were destined to become part of my Triplizip Zipper Pouch Pattern. Here is the simple pouch and cosmetic pouch. Also a part of the Triplizip pattern is the Boxy Bag. These pouches are fun to make, I switched up the handles on this pair to give them even more interest. There are unfinished seams (I finish mine with a simple zig-zag stitch) on the inside at each end. A diligent reader found an error in this part of the pattern, if you purchased it before 8/25/14 please check the pattern page for the correction. I didn't manage to get an individual photo of this simple tote bag I made! It's really tall, great for grocery shopping or a trip to the library. 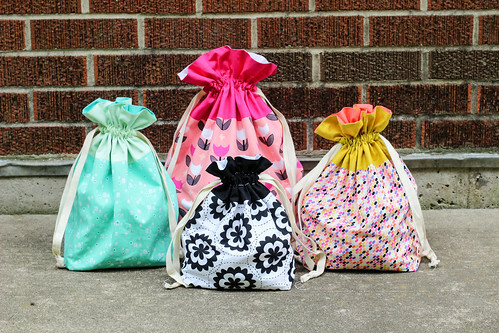 I finally had the opportunity to sew together my friend Yahaira's Snap Tote Pattern with this collection. 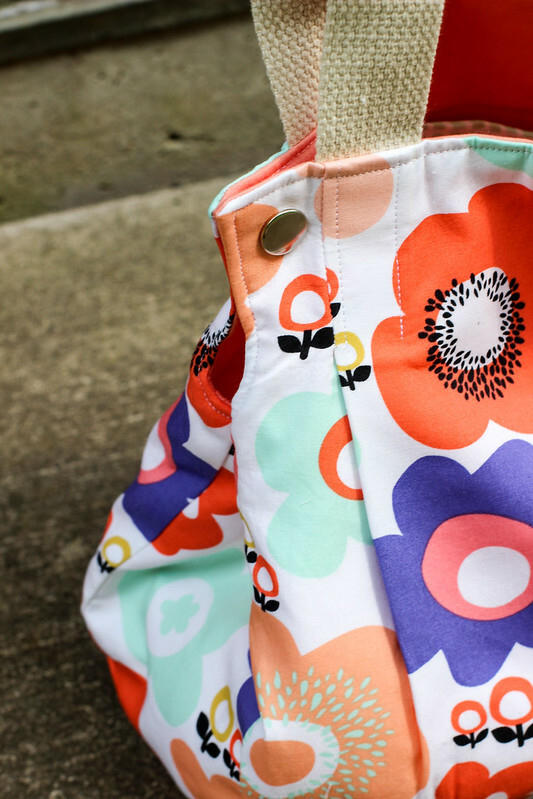 This bag is so fun, and it's a really enjoyable sew. It has snaps on the sides to make the bag smaller or larger! Snaps snaped! I love fun details like this! You can find the pattern on Craftsy here. I received my Geometric Bliss advanced yardage this week, which means it's arrival in shops should be in the next few weeks! Will be sure to post here when I know more. Very good collection of fabric! My favorite bag is the little box pouch. Wow! I love the whole collection. 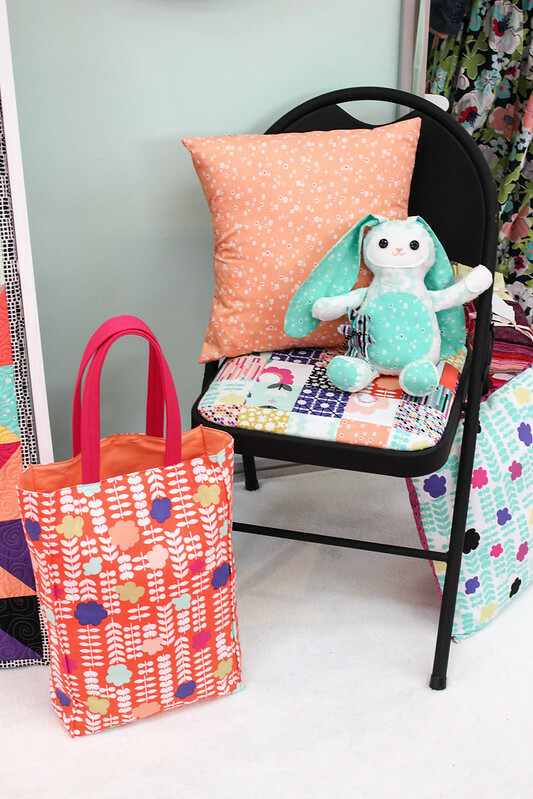 I am really loving the snap tote and the chair. Love that chair! Loving these bags! 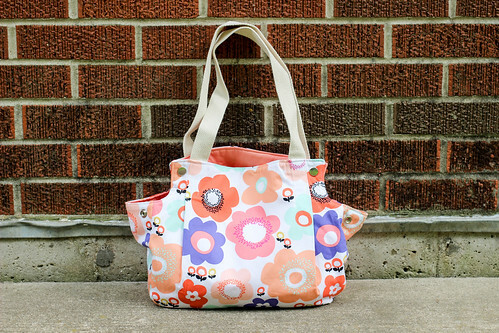 I hadn't seen that Snap Tote pattern before, now after seeing yours, I must make it ASAP! 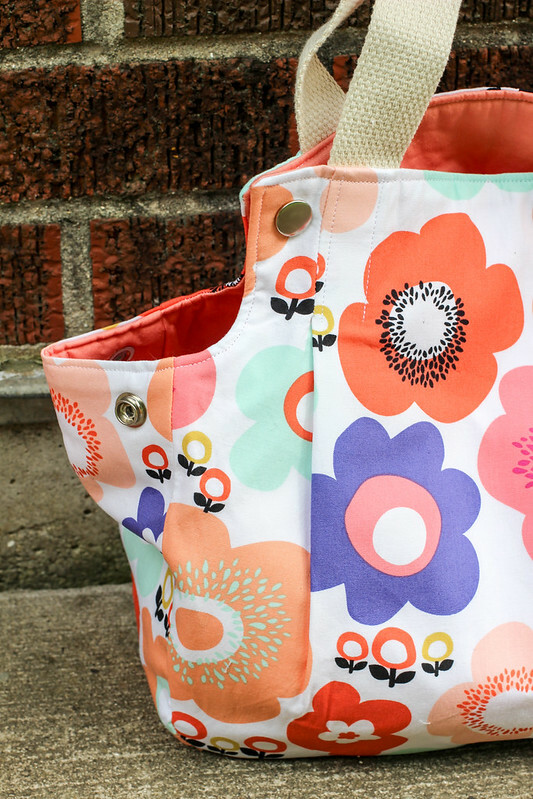 Love that snap tote! And your fabrics!